Immunopathological effects of Environmental pollution in Animals. Financed by GB Pant University as Project Leader. Immunomodulatory properties of Immuplus in dogs. Financed by Indian Herbs Research and Supply Company as Principal Investigator. Evaluation of specific and paraspecific immunity in developmental stages of chickens. Funded by Department of Science and Technology, Govt. of India as Co-Principal Investigator. Immunopathological responses in poultry induced by pesticides as environmental pollutants. National Fellow Project by ICAR as Principal Investigator. Avian stunting syndrome with particular reference to reovirus infection. Funded by UP Council of Agricultural Research as Principal Investigator. Studies on effect of Indigenous cow urine on health status of poultry. Financed by GB Pant University as Principal Investigator. Immunological Characterization of Guinea fowls. Financed by GB Pant University as Co-Principal Investigator. Central Disease Diagnostic Laboratory (CDDL) Scheme of Department of Animal Husbandry and Dairying, Govt. of India as Nodal Officer. Utilization of waste (Dung and urine) of animal maintained at ADRIF. IVRI, Izatnagar as Co-Principal Investigator. Isolation and characterization of canine parvovirus employing serological and molecular techniques. IVRI, Izatnagar as Co-Principal Investigator. Studies on humoral and cell mediated immune response to bovine herpes virus-1 in cattle and buffaloes. IVRI, Izatnagar as Co-Principal Investigator. Homeopathy management of brucellosis in animals. 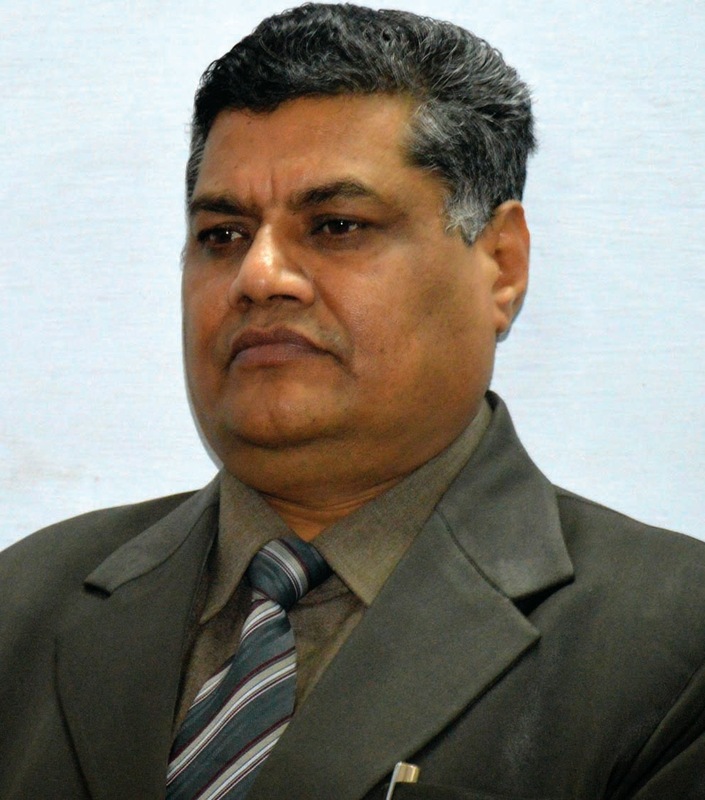 IVRI, Izatnagar as Co-Principal Investigator. Studies on some aspects of sexual health and hygiene in male animals. IVRI, Izatnagar as Co-Principal Investigator. Production and characterization of monoclonal antibody against bovine herpes virus-1 and development of ELISA test. IVRI, Izatnagar as Co-Principal Investigator. Monitoring and surveillance of animal diseases in rural area of Rohilkhand region of Uttar Pradesh. IVRI, Izatnagar as Co-Principal Investigator. Comparative study on inherent resistance of Indigenous cows, crossbred cows and buffaloes. IVRI, Izatnagar as Co-Principal Investigator. Sequence analysis, phylogenetic characterization of nucleoprotein (N) gene and pathogenesis of rabies virus. IVRI, Izatnagar as Co-Principal Investigator. All India Network Programme on Bluetongue. IVRI, Izatnagar as Project Coordinator. All India Network Programme on Haemorrhagic Septicaemia. IVRI, Izatnagar as Project Coordinator. Development of vaccine and diagnostics of rabies using molecular techniques. Financed by Uttarakhand govt. /GB Pant University as Principal Investigator. Antiviral, anticancer and antibacterial activities of herbs . Financed by Uttarakhand govt. /GB Pant University as Principal Investigator. Immunomodulation using bioprospective molecules from panchgavya and herbs. Financed by Uttarakhand govt. /GB Pant University as Principal Investigator. Studies on reversal of antibacterial resistance of antibiotics. Financed by Uttarakhand govt. /GB Pant University as Principal Investigator. Detection of pesticide residues and mycotoxins in foods and feeds. Financed by Uttarakhand govt. /GB Pant University as Principal Investigator. Vermibiotechnology. Financed by Uttarakhand govt. /GB Pant University as Principal Investigator.